After spending a great deal of time listening to a large variety of bands labeled "Krautrock" while reading and reviewing Julian Cope's Krautrocksampler, I started thinking about the term and what it really means. Cope, like many others, criticizes the term as being a lazy British invention that collected together a disparate set of unrelated bands under one label. Nonetheless, Cope uses the term extensively to the point of naming his book after it. He and others have claimed that the term was derived from Amon Düül's first album, Psychedelic Underground (1969), which contained a track titled "Mama Düül und ihre Sauerkrautband spielt auf". By the time Faust titled a song "Krautrock" on Faust IV in 1973, it was already done in a spirit of jest and parody. 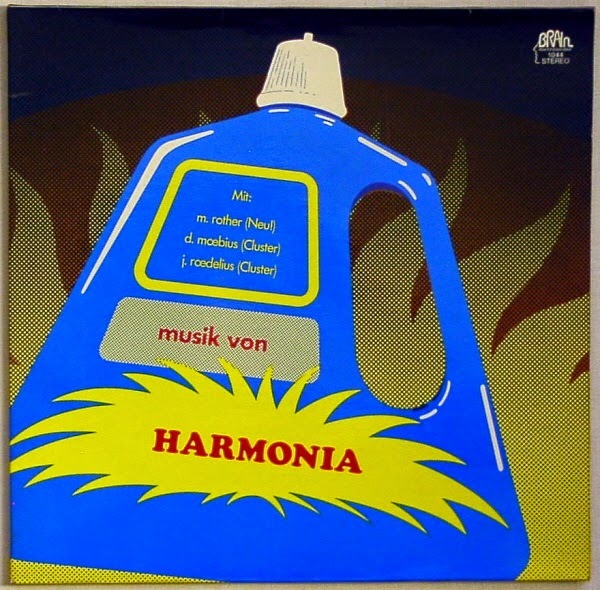 Plenty of other terms were used in and outside of Germany for the various forms of "new" music coming out of German-speaking countries around the late 60s and early 70s, but the most common one (in Germany, at least) was "Kosmische Musik", i.e. "cosmic music". 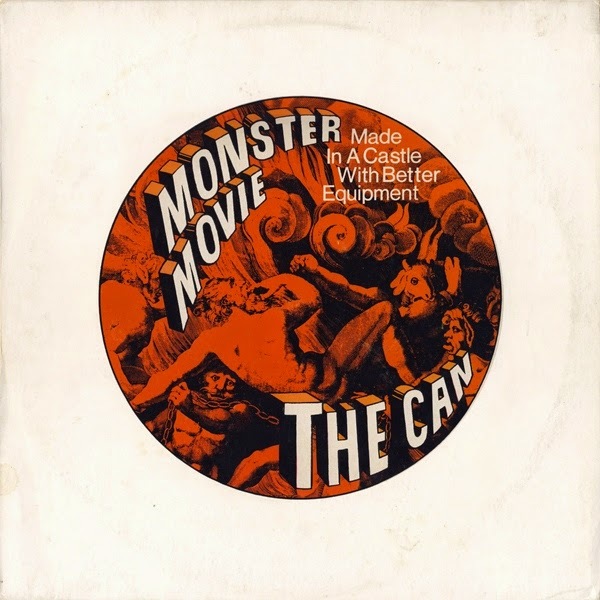 Cope cites Amon Düül II's debut album, Phallus Dei, and Can's debut album, Monster Movie, both released in 1969, as the first rumblings of this movement. Whether those two albums really represent that term well is questionable, but the core of the idea was music that was progressive, forward-looking, future-oriented, and perhaps psychedelic and drug-induced. 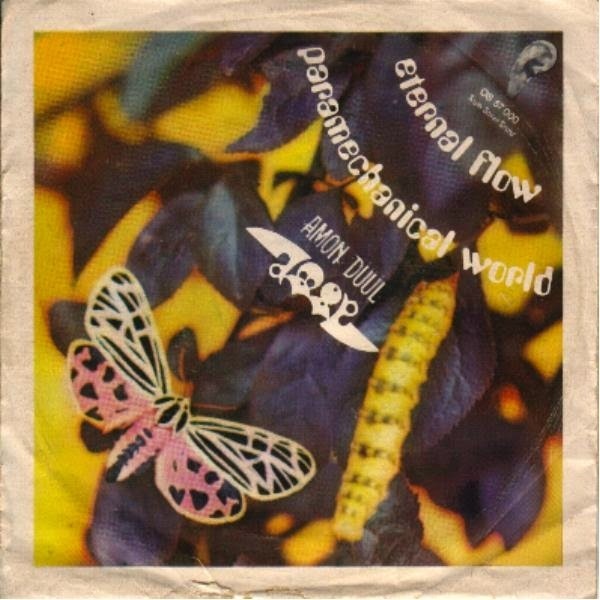 Then and now, Kosmische could mean proto-ambient music or it could mean trippy guitar jams. 1. Space Jams, Psychedelia and Acid Blues Rock: This may be the largest grouping, but what unites it is a predilection for long guitar-based jams. Bass and drums go without saying, and keyboards are often included as well. Vocals are optional. These songs usually "rock" in some sense, perhaps owe something to jazz or the blues, and often have a psychedelic, trippy, "far out, man" aesthetic. 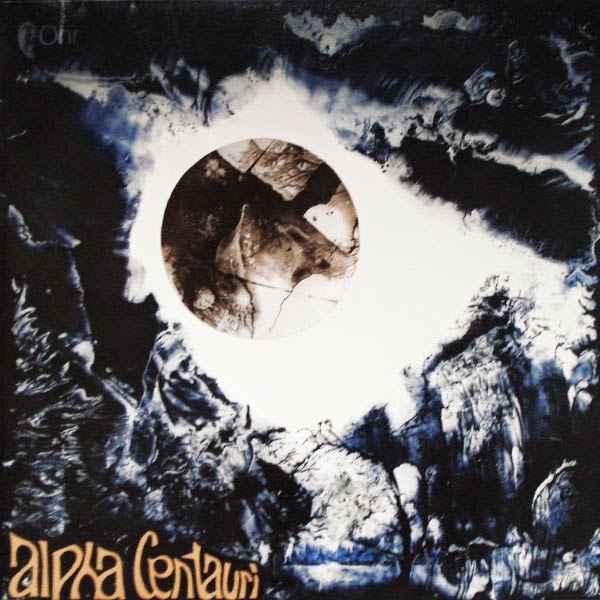 Examples include Guru Guru, The Cosmic Jokers, Kraan, the first side of most Ash Ra Tempel albums, many early Amon Düül II songs, much of Agitation Free, and maybe even Annexus Quam. Xhol Caravan is perhaps a soul-derived variant of this, and Embryo might be a particular jazzy version. These bands excel in energy and virtuosity and usually have good grooves. The downside is that they are sometimes lacking in substance and prone to self-indulgence. 2. Progressive Rock: I'm using this category for bands that sound like they may as well have come from the British prog rock scene – except that the vocals are distinctly accented and sometimes even deliberately bizarrely intoned. I'm talking about "progressive" in the sense of bands like Yes, Genesis, and King Crimson: complicated song structures, intricate arrangements, bombastic sound, exploratory vision, and so on. The German bands in this vein aren't necessary derivative, but this is perhaps the closest grouping to any segment of mainstream Anglo-American music. I would include bands like Jane, Birth Control, Grobschnitt, and later Amon Düül II. This music is usually full of surprises and a good mix of intellect and fun, but can also be over-the-top and excessive. 3. 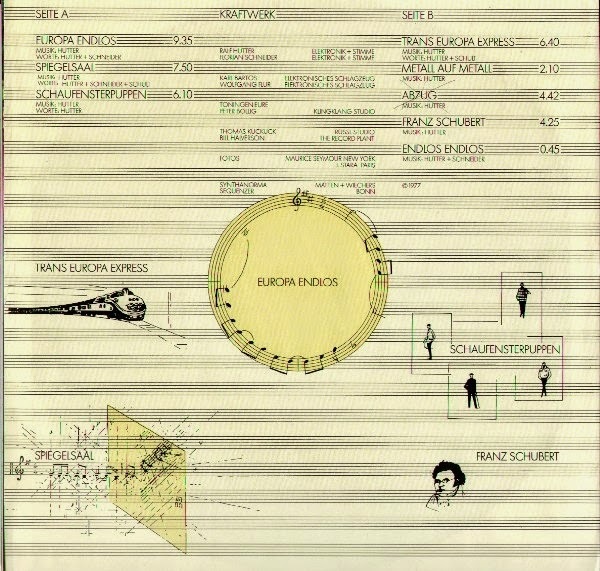 Experimental, Academic, and Sound Collage: This might be the earliest variety, arguably descending from Karlheinz Stockhausen's compositions such as Telemusik in 1966 and Hymnen in 1967. Most of these bands come from an art school background and liked experimenting with sound and unusual methods of sound production. The "studio as instrument" cliché could easily be applied here. Much of this music is arrhythmic, and all of it is instrumental. This is pre-synthesizer, but in the heyday of tape loops and studio ingenuity. Unconventional instrumentation (for rock music, at least) such as flutes, violin, bells, and glockenspiel are common. Good examples are Kluster, early Cluster, early Tangerine Dream, Organisation, and early Kraftwerk. Autobahn is right on the line and perhaps the last prominent example. This is music that can easily be derided as overly "academic" in the sense of not being particularly listener-friendly. There is a lot of creativity and a wealth of ideas, but only a minimal attempt to address these traits to the interests of a conventional listener. 4. Ambient and Cosmic Soundscapes: Although Brian Eno might be credited (correctly or otherwise) with spurring the genrification of ambient music, I would argue that Komische bands were the initial instigators. (Note that Eno did not disagree and in fact recorded albums with Cluster and Harmonia in the 70s.) These bands preferred long, slow moving, spaced out sonic explorations. Most of these bands are instrumental, most used synthesizers and electronics, and only occasionally did they dabble in rhythm. The best of the bunch include Tangerine Dream, Cluster, the second side of most Ash Ra Tempel albums, Klaus Schulze, Cluster, and Harmonia. Popol Vuh also fit here, although they also ventured into more "world music" directions. Note that most of the major players of the third category migrated to this style in a matter of a couple years. Much like later, more widely accepted variants of ambient, this music is too easily regulated to "background" status, and often suffers under the strain of focused listening. Nonetheless, as "mood music" they usually succeed in establishing a nuanced, textural playground. 5. Space Folk: This might be the smallest subset, at least as far as my knowledge goes, but I think they deserve a unique space. These acts play some version of folk music, where vocals, acoustic guitars, and various forms of hand percussion are central. This is more than just standard folk music in that there are psychedelic tendencies, extended song structures, and sometimes even a jam atmosphere. 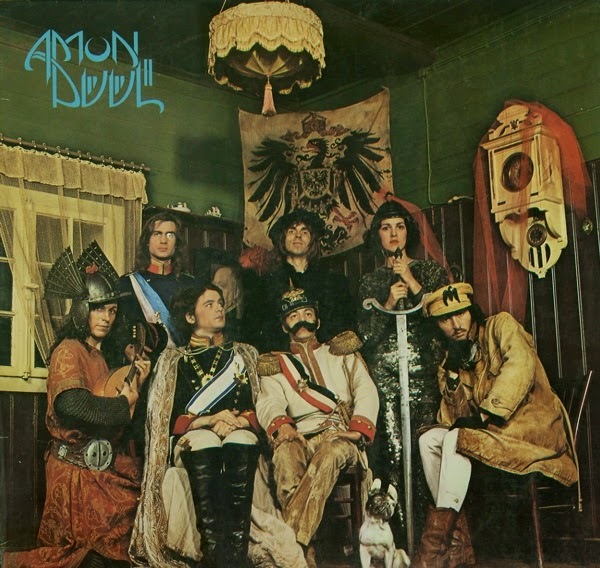 Bands that belong here include Amon Düül (in particular Paradieswärts Düül), Witthüser & Westrupp, Hoelderlin, and the second half of Amon Düül II's Yeti (which are improvisations that in part include members of Amon Düül). For fans of folk and psychedelia, these bands represent a unique variant of conventional folk music. Prog- and hard rock-oriented types may be put off by the overly hippie-like aesthetic and the relatively subtle energy. 6. Innovative Rock: This is the hardest group to pin down and typify. I think these bands are what really drove the British idea of the existence of a unique German genre of music (i.e. Krautrock). These bands could perhaps be described as progressive or psychedelic, but they don't really sound anything like Anglo-American prog and psych bands. These bands are loosely "rock" groups in some fashion, but often have jazz influences. They are usually rooted in conventional rock instrumentation, but seem to favor keyboards and electronics. The key is that the music is almost always rhythmic and driving, with a very strong propulsive energy and a certain restlessness. It's no surprise that the punk and post-punk movements clearly owed a lot to these bands. I'll admit this category is something of a catch-all for bands that don't easily fit elsewhere, but I think that's actually the point: these are musicians that really transcended their antecedents and their surroundings and made something truly new. The difficulty of ascribing existing titles to the style is perhaps why Krautrock became such a pervasive term. The key bands here are Can, Faust, Neu!, Kraftwerk (from Autobahn through Trans-Europa Express), and La Düsseldorf. I might also include some more overtly electronic acts like Wolfgang Riechmann and later-period Kraftwerk. I think the bands in this category are practically faultless and thus represent the best of German music from the 70s. It's hard for me to hide that I think the bands in group #6 are the best of the lot. They have been my favorites since I first started looking into these various movements, and they still are now. That's not to say I don't like bands from the other divisions, but I tend to find them a more mixed bag. There are exceptions, such as Harmonia, whose blend of ambient, experimentation, and pulsing rock I find delightful, and Paradieswärts Düül, which I find surprisingly beautiful. Conversely, Julian Cope seems to enjoy an odd mixture from each group except #2 (the straight prog groups). We mostly agree about the strengths of #6, but we disagree on many of the other details. More important than my preferences, though, is the nature of the categorization. There is an inherent problem with making a rubric such as this in that the divisions are somewhat arbitrary and overlapping. These groupings all share plenty of attributes, such as nontraditional song length and an explicit sense of looking to the future or outside of the norm. These supposed divisions are really spectra within a multidimensional field of possibilities, and most bands don't fit perfectly under any single label. Some bands are particularly challenging: Can skirted many styles all at once, and both Cluster and Kraftwerk made several distinct changes over their careers. 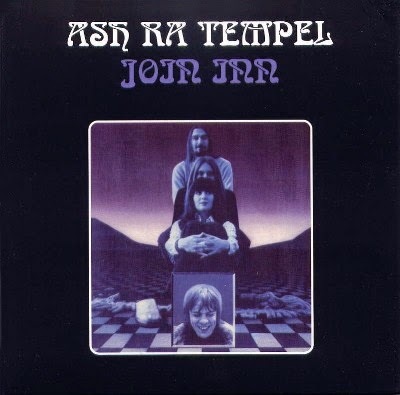 Then there's Ash Ra Tempel, where the two sides of their albums are consistently divergent. So does "Krautrock" just mean "German music that rocks", i.e. groups #1, #2, and #6? Does "Kosmische Musik" equate with the proto-ambient music of group #4, or does it also include the cosmic rock of group #1? Or does it stretch to include anything vaguely cosmic, spacey, other-worldly, or "far out" (presumably groups #3 and #4, but possibly also #1, #5, and #6)? I think it is problematic to call all German music from this era "Krautrock" (why not just call it German music and drop the slur? ), but at a minimum I do think the sixth category deserves some special recognition – bands like those really didn't exist anywhere else. 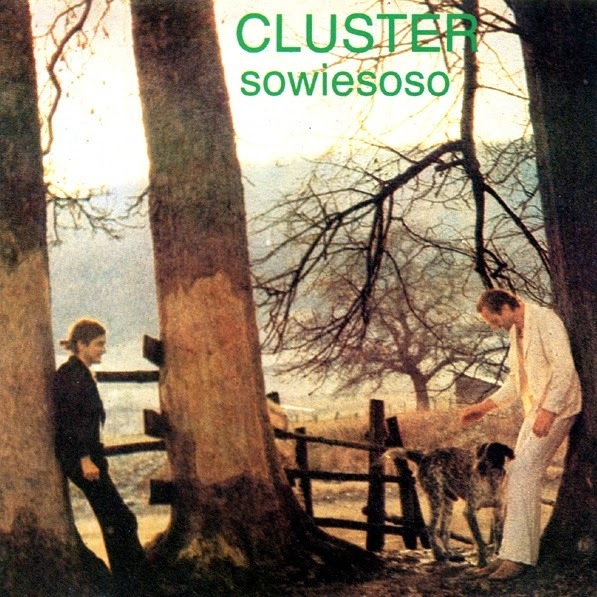 The problem with "Krautrock" and "Kosmische Musik" is that they've been used so many times to mean different things, sometimes overlapping and sometimes explicitly distinct. I propose that we either drop those terms or decide on specific meanings for them. In the meantime, we should group these artists by their actual styles, as I have, or perhaps by the historical associations they had with each other, be that based on record labels, geography, or some other metric. I would like it if we called all of this music "progressive German music" and perhaps restricted "Krautrock" to group #6. We could call group #1 "German cosmic rock", #2 "German prog rock", #3 "German cosmic experimental music", #4 "German cosmic ambient", #5 "German cosmic folk", and #6 "German innovative rock". Maybe then we would have terms that actually mean something consistent! One final note: the Freemans' The Crack in the Cosmic Egg lists, in addition to all the bands I've mentioned and plenty more I haven't, a few bands from the late 70s Neue Deutsche Welle movement. This is somewhat surprising only in that it seems hard to find fans of both Krautrock and NDW. Much like punk and post-punk in England, NDW consciously rejected much of what came before, or at least digested it into bold new forms. The problem here is that the Freemans' choice of NDW bands is rather inscrutable. They list Din A Testbild but not Einstürzende Neubauten; D.A.F., Der Plan, and Pyrolator but not Abwärts, S.Y.P.H., or Palais Schaumburg; and Nina Hagen (probably just because her band was once part of Lokomotive Kreuzberg) but none of the other various German punks like Mittagspause, Male, The Wirtschaftswunder, or Fehlfarben. I consider these aberrant inclusions in such a list to be unwarranted, as the punk/NDW scene was really quite a different movement.